The University of Waterloo (also referred to as UWand Waterloo) is a comprehensive public university in the city of Waterloo, Ontario, Canada. The school was founded in 1957 by Drs. Gerry Hagey and Ira G. Needles, and has since grown to an institution of more than 30,000 students, faculty, and staff. 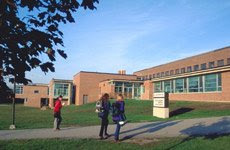 The school is notable for being the first accredited university in North America to create a Faculty of Mathematics, and for having the largest co-op program in the world. The school is also known for having more company spin-offs than any other Canadian university, and as such, the university has been called the "Silicon Valley of the North". The enrollment for 2006 was 23,729 undergraduate and 3,013 graduate students, with 963 full-time faculty members and 2,167 staff. The school has approximately 130,000 alumni in 141 countries. The University of Waterloo dates its history from the first classes, July 1, 1957. At that time it was Waterloo College Associate Faculties -- the name UW came in 1960. Waterloo College, founded 1911, is now Wilfrid Laurier University. Principal founders included J. Gerald Hagey (founding president), Ira G. Needles (first chairman of the board of governors), and Rev. Cornelius Siegfried, who brought St. Jerome's College (founded 1865) into federation with UW. The College of Optometry of Ontario became a part of the university (as the school of optometry) in 1967. The geographical coordinates of the main UW campus are 43°28′14″N, 80°32′50″W. The School of Architecture was relocated to a former mill in Cambridge, Ontario, in 2004. A new campus for the health sciences program is being built in Kitchener, Ontario and will include a satellite of McMaster University’s Michael G. DeGroote School of Medicine. The University of Waterloo is one of Canada’s leading comprehensive universities, with strong teaching and research programs in six faculties: Applied Health Sciences, Arts, Engineering, Environmental Studies, Mathematics, and Science. 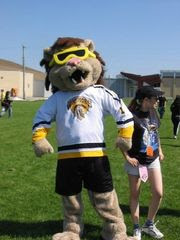 Four other institutions — St. Jerome’s University, Conrad Grebel University College, Renison College, and St. Paul's United College — are federated or affiliated with the University of Waterloo. Located on the main Waterloo campus, these institutions share in the delivery and administration of academic programs and offer additional residential space for students. Five respected professional schools are based in the faculties: Accounting and Finance, Architecture, Computer Science, Optometry, and Planning, with a sixth, the School of Pharmacy, that began admitting students in 2008. A program in software engineering is offered jointly by the faculties of Engineering and Mathematics. A program in nanotechnology engineering, a joint venture by the faculties of Engineering and Science, was launched in 2005.